U.S. President Donald Trump walks from Marine One as he returns from Kansas City, Missouri, to the White House in Washington, U.S., July 24, 2018. 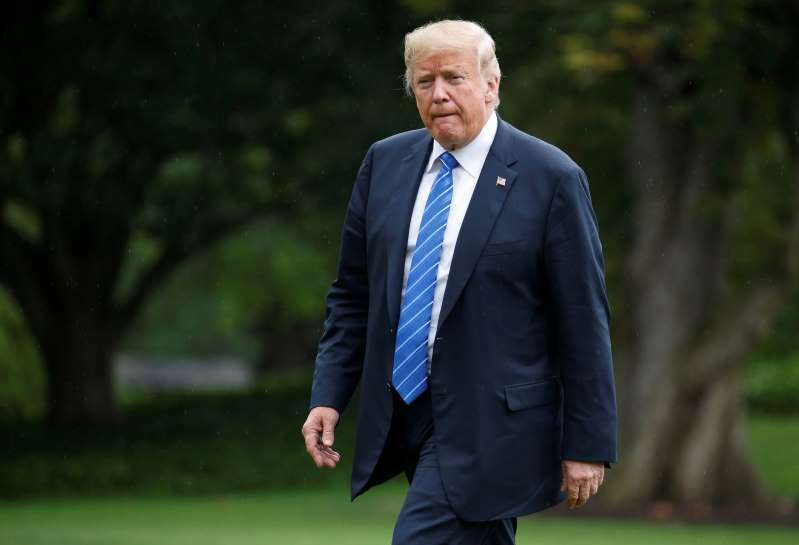 U.S. President Donald Trump on Wednesday accused China of targeting American farmers in a "vicious" way and using them as leverage to get concessions on trade. "China is targeting our farmers, who they know I love & respect, as a way of getting me to continue allowing them to take advantage of the U.S. They are being vicious in what will be their failed attempt. We were being nice - until now!" Trump wrote on Twitter. [post_ads]Farmers have been a particular target in the current clash over trade policy as other countries seek to retaliate for U.S. duties on Chinese goods as well as on steel and aluminum imports from the European Union, Canada and Mexico. The affected countries have in turn targeted U.S. agricultural products, including soybeans, dairy, meat, produce and liquor. The United States exported $138 billion in agriculture products in 2017, including $21.5 billion of soybeans, the most valuable export. China alone imported $12.3 billion of U.S. soybeans last year, according to the U.S. Department of Agriculture.